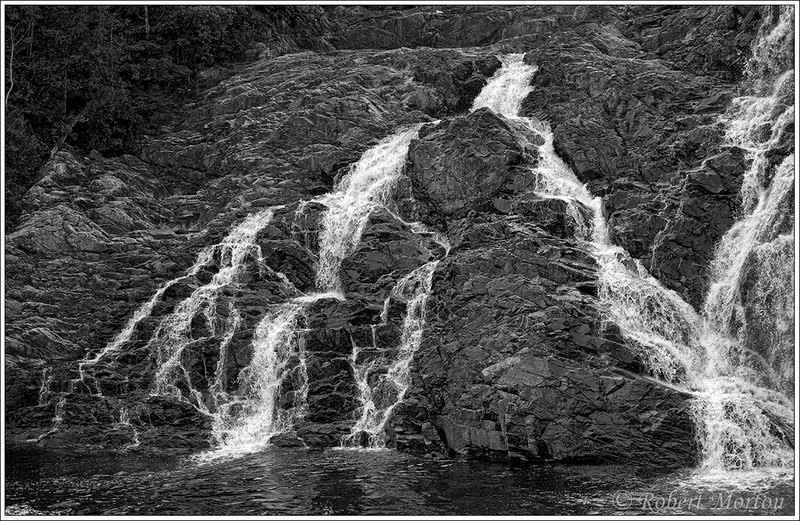 The Magpie River tumbled over this rock formation at full blast when I first saw these falls in 1962. A dam and hydro development built since then just above the Falls has severely depleted water flow during the Summer. The rock of Superior has distinctive character. The raw awesome toughness of that part of the world is evident. The colour and monochrome versions of the photograph are presented. Which is preferred is your choice. Each says different things. The rumble of the falls and rapids at Duchesnay is hard to ignore. The is also great opportunity to look for quieter spots along the side of the torrent and experience some neat stuff. The land through which the water runs adds to the whole experience. Can you hear the rumble of the Falls? Near my town is the place that Duchesnay Creek chooses to descend the escarpment, tumbling down ledges and through cracks and crevasses in the rock of the Pre-Cambrian Shield. 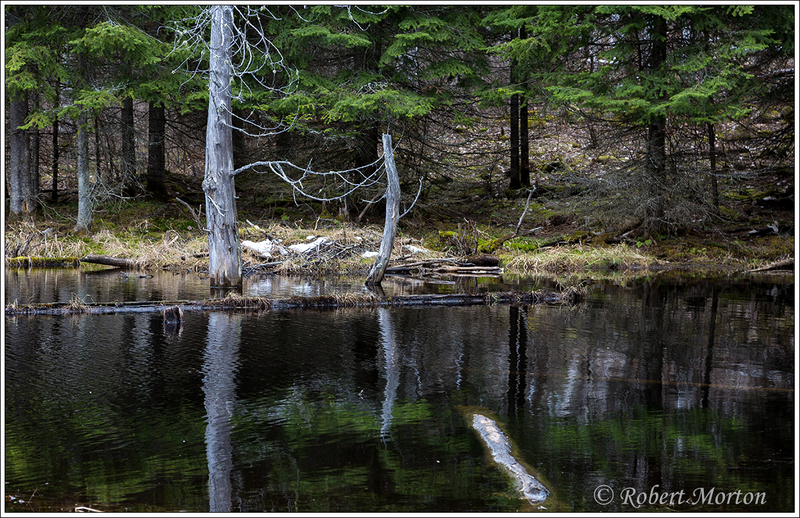 When the melt comes, there is ample water flowing. Spent the day shooting birds. New photographs over the past week.